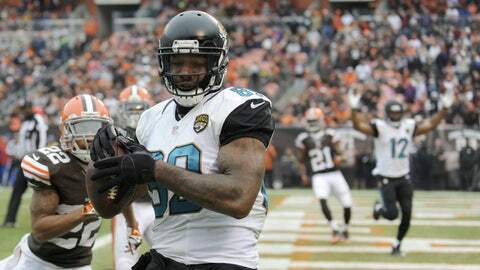 The Jaguars will take on opponents from the AFC North and NFC East in 2014. Having finished in third place in the AFC South, the Jacksonville Jaguars now know all of the teams they will face in 2014 and the locations of those games. The Jaguars will host the Miami Dolphins, Pittsburgh Steelers, Cleveland Browns and New York Giants, as well as divisional games against the Indianapolis Colts, Tennessee Titans and Houston Texans. They will also have a home game Nov. 9 in London against the Dallas Cowboys. Their road games include trips to Indianapolis, Tennessee and Houston within the division and to the Baltimore Ravens, Cincinnati Bengals, Philadelphia Eagles, Washington Redskins and San Diego Chargers. The exact dates and starting times of all games won’t be released until probably close to the weekend before the NFL Draft, which takes place May 8-10.